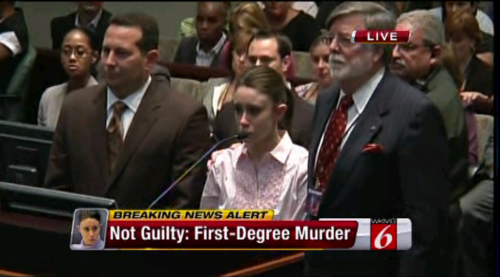 After three years of constant surprises, the Casey Anthony saga saved its biggest one for last: a stunning not guilty verdict. 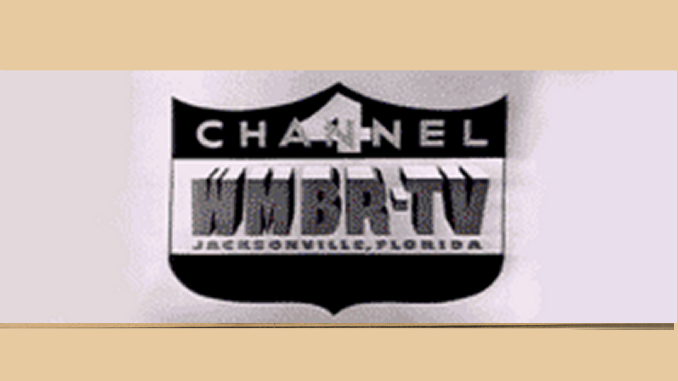 Orlando TV stations have been covering the trial wall-to-wall — even bumping regular programming again today to talk while the jury deliberations were ongoing. 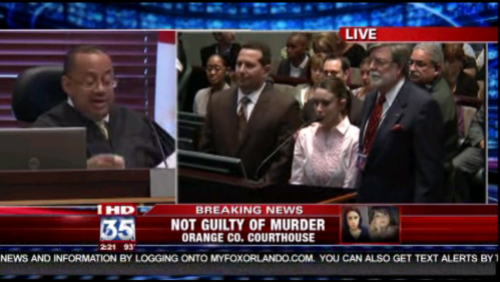 Hours after the verdict, the Orlando stations continued their coverage. 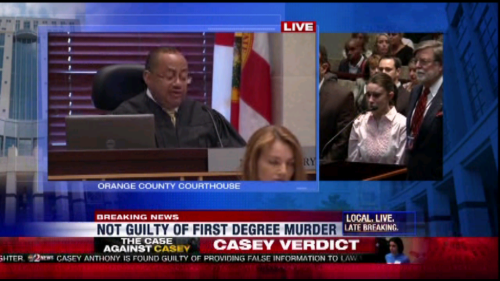 WKMG bumped the CBS Evening News to stay in Casey mode, and continued with coverage at 7, 8 and 9 p.m. WESH broke for NBC Nightly News, but returned with hourlong specials at 7 and 8 p.m., too. 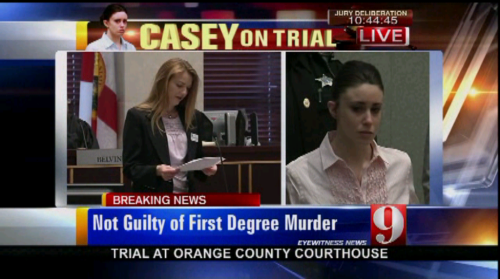 WFTV did air ABC World News, but then followed with its own hourlong Casey Anthony special. Only WOFL-Fox 35 — which has seen surprisingly high ratings for its marathon coverage — went back to regular programming after its 5-6:30 p.m. news. 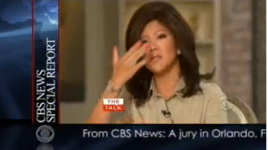 Of course, it has 90 minutes of news later tonight to continue coverage.